The words of Gandhi, Einstein, Jean Paul Sartre and other great thinkers are to be quoted in service announcements on London's Underground. Transport for London has commissioned Turner Prize-winning artist Jeremy Deller to compile a list of bon mots to be used by Tube drivers. Among the quotes on offer will be Gandhi's, "there is more to life than increasing its speed". Deller hopes they will make commuters' journeys a bit more thought provoking. Cezanne's, "we live in a rainbow of chaos" and Jean-Paul Sartre's, "hell is other people" will also be recited by Tube drivers. Deller's original plan was to abolish all public address announcements for a day. "It does my head in," he told BBC News. "It's like some psychological warfare on the customer." But his idea was vetoed by managers, who instead agreed to the plan of replacing some announcements with something more human and engaging. 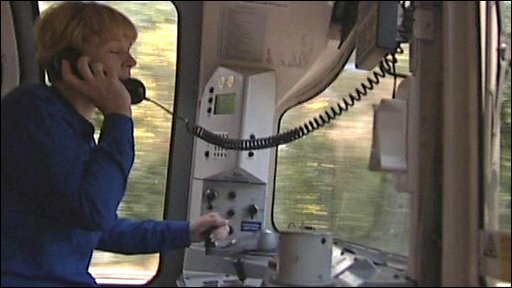 Sally Shaw, who is running the scheme for Transport for London, says it is part of a wider attempt to improve day-to-day interactions and rely less on automated announcements. "I think everyone has their own little philosophies on their journeys and if we can get more of that out in the air, that would be great," she said. Susy Wells, one of the drivers to test the idea out on the Piccadilly Line, is also an enthusiast. She said: "I like to make my own announcements and it's nice to get them [passengers] thinking as well." However, while some lines such as Thomas Fuller's "a stumble may prevent a fall" were popular for helping to explain why a little inconvenience was sometimes necessary to keep the system safe, others were more problematic. Deller admits "hell is other people" may not be useful when a train is stuck in a tunnel but feels "there is more to life than increasing at speed" could be helpful. He hopes the "little interventions to everyday life" can help to introduce some humour to the ups and downs of travelling on the Tube. Shaw said: "It's ironic and a slightly risky thing for the Underground to say, but if you think about it, part of the problem that a lot of us face when we are trying to get from one place to another is the sense that we can't get there fast enough. "But actually how fast can the human body travel? We're not time machines, so maybe we should think about that a little bit more." Drivers will begin making their new announcements from Thursday 25 June.